There are a large number of Wifi apps in Google Play store and all claims to be the best. All these apps claim to optimize your Wifi speed and provide you the best connection and speed. But as soon as you will start using those, you will come to know the reality. Recently, I was also searching for an app which can help me to optimize my Wifi and networks at home and came to know about Home Wifi alerts called Wifi Analyzer. This is a free app available on Google Play with an average rating of 4.0 with around 500k-1,000,000 downloads. Here in this post, I will be sharing about Wifi Analyzer Review and will let you know the details of Wifi analyzer, its features and how to use this Wifi Analyzer app. Wifi Analyzer app lets you manage, optimize your personal, home and any other location and network for various security reasons and enhancements. The company keeps on updating the app to provide you the best service, feature, user interface, and experience. 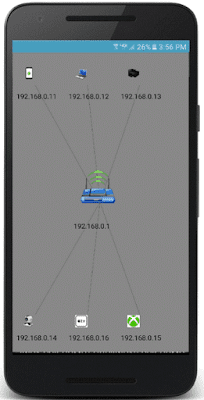 It is the only app on google play that will map your network in a graphical display. It protects your Wifi and maximizes your connection speed with the wide variety of network utilities and tools. 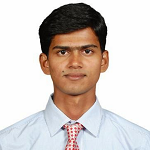 The app has been configured in such a way that it can be used from individuals to the network administrators. Whether you want to manage, optimize your network or want to boost the speed of the network, Wifi analyzer is for you. To get started with Wifi Analyzer app, first, you need to download and install from the Google play store. You can download the app using this Wifi Analyzer download link. Once you have downloaded the app, just install it on your android smartphone. This app is completely free to use and the current version is 14.0. This is compatible with an Android version 4.0.3 and above. The app’s average rating is around 4 and has been downloaded over half a million. This is a great app for all and if you are using any kind of Wifi network. Once you have installed the app, open it and you can scan all the nearby network to you. It will also display the related information related to those networks. 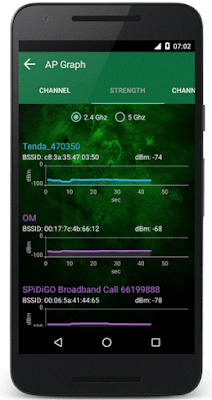 This app comes with inbuilt IP tools, augmented flow graphs and strengths of the networks according to the application. You can monitor how many devices are connected to the network and monitor their activities easily. Wifi analyzer comes with many features which are helping you to analyze and optimize your network. Apart from being the fact that it is free, here are some other great features. It displays IP addresses, MAC addresses, display names, access point you are connected to, and allows you to customize images/icons and edit display names. 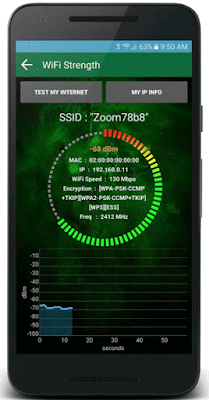 The Wifi tester tool of the tool displays the Wifi signal strength. It also displays your routers public IP. The app will display router access points near to you. It also displays Mac address, Signal strengths and much more. AP graph is access point graph which displays the channel your router is operating and displays how many others are also on the same channel. On the channel rating page, it will rate which channel will be your best option to set your Wifi to for speed and reliability. This is the unique feature you will receive with Wifi analyzer. You can log into the network and can block the MAC address of the device you want not to use the internet. Once you will open the app, on the tools tab, you can find the data like DNS lookup, Whois data, and ping/port scan host names and FQDN scans, and traceroute. You can email to support@homewifialert.net in the case of any issue. Just email the issue you are facing and be sure to get the response within 24 hours. As I mentioned, the tool is completely free to use but it contains ad to generate revenue. But if you want an ad-free and hassle free experience then go with the pro version of the app. You can buy the pro version of this app at just $0.99. Wifi Analyzer is a great app to analyze, customize and use the Wifi networks. You can check the network, strength, uses and many more features. Moreover, this app is free to use and you can start immediately. Do share your experience with us as how this app is working for you.